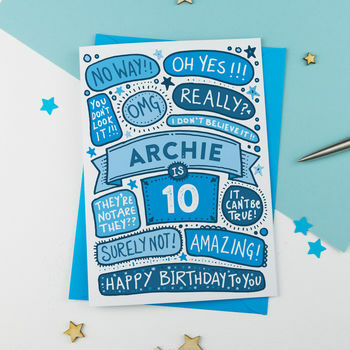 A unique and exclusive hand-illustrated blue personalised birthday card for their 10th Birthday. The perfect birthday card that's a little different from the norm. 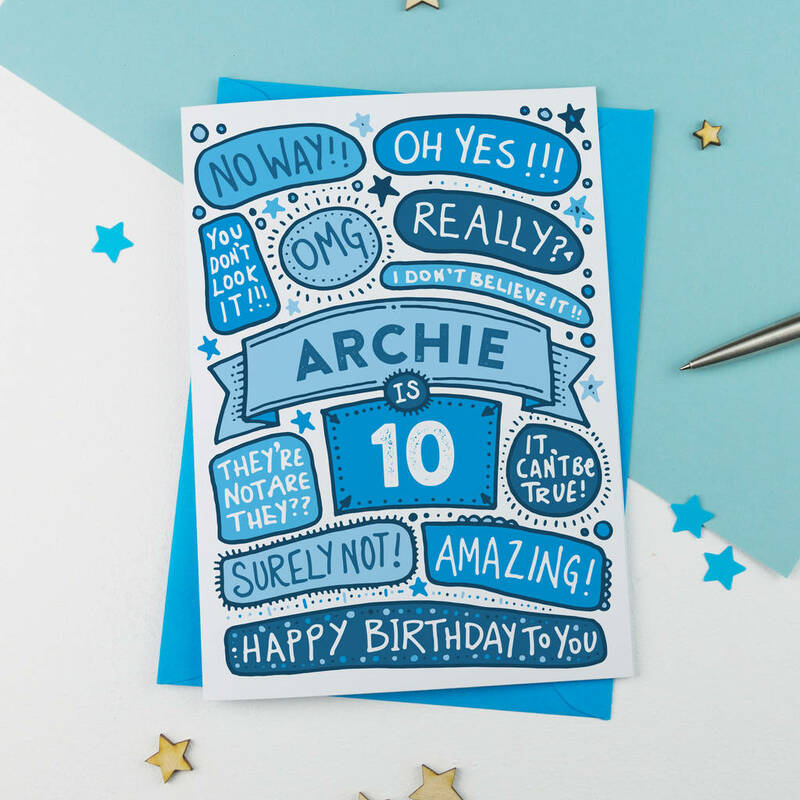 An illustrated birthday card that's perfect for a boys 10th Birthday. This hand-drawn birthday card can be personalised with the name and age of the recipient. A perfect card for a boy and one that you won't find anywhere else as it's exclusive to Not on the High Street. The card is beautifully illustrated and detailed and will make recipients of any age smile (and wonder how you managed to find such an awesome card). Cellophane wrapped for protection and sealed with a sticker. This card is also available in Blue. See our products for more options. High quality heavyweight greetings card with a beautiful matt finish. Printed on 350gsm recycled white card. MUCH higher quality card stock than shop-bought stuff! Dimensions: 5" wide x 7" tall (when folded).